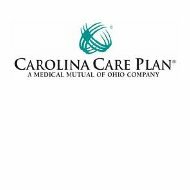 Carolina Care Plan is a health insurance program under the Medical Mutual of Ohio Company. The company provides health care for individuals, groups, and Medicare Supplemental insurance. You can get online health insurance quotes by typing your zip code into the free rates tool now! Carolina Care Plan for individuals provides coverage to people who do not have access to group insurance. The plan covers routine health and preventive needs as well as catastrophic coverage. Individuals that are eligible under the Carolina Care Plan are students, recent graduates, early retirees, children, people who work but are ineligible for group coverage and those that can no longer use COBRA coverage. The coverage varies depending on the plan, but it is designed to help cover costs of doctor visits and hospitalization that is not covered by Medicare. Carolina Care Plan for Groups covers employee groups of two and up to 20,000. Coverage varies, but for quote information, you can call (800) 868-6734 or submit an online quote following the link on the website. The Carolina Care Plan offers pharmaceutical coverage through Medco. There is a list of covered drugs on the website or policyholders can call Medco at (866) 397-5564 for additional information. Carolina Care Plan quotes can be obtained by going to www.CarolinaConnect.com. Agents of Carolina Care Plan are all independent brokers. Carolina Care Plan claims are submitted by the provider to Carolina Care Plan while the policyholder is at the physician’s office. The claim is processed immediately so that the policyholder can actually determine what they owe the doctor before leaving the office. Sometimes additional information is required in order to process a claim. The additional information can be provided by using the Carolina Care Plan Claims Inquiry Response Forms, which are available on the website. There are three different Claims Inquiry Response Forms. The first is the Free of Care form, which is used when the company needs to determine if an illness or condition on a claim was treated previously. The second form is the Coordination of Benefits form, which is used to determine health benefits when a policyholder has more than one insurance policy. The last form is the Workers Compensation form, which is used when an employee is injured on the job, or their illness is work related. Should you need to appeal a claim, the company provides a form on their website for policyholders to complete and mail. The site also provides access to a list of participating physicians and hospitals within the Carolina Care Plan network. The Carolina Care Plan website also provides a Quicken Health Expense Tracker to keep track of medical expenses and Health Savings Account dollars that are being put away and used for medical costs. The center also offers a health assessment for you to complete to determine your health status. In addition to the Health Resource Center, you can also keep track of your health history within your account. The history will show you all the medications you have taken previously, lab work you had completed, medical services rendered and health care providers you have seen. The Carolina Care Plan believes that everyone should be able to get an appointment when medically necessary. On their website, they outline guidelines for when individuals should be seen and within a set timeframe. In addition to these guidelines, they have provided a complaint form if you are unable to be seen within the stated guidelines or you can call Carolina Care Plan to issue a complaint. Under the Medical Mutual umbrella, the company has been recognized as one of Northeast Ohio’s best workplaces for five years in a row. Perspective employees can apply for positions online by searching current job postings by job categories and locations. If you have previously applied for a job, you can sign in to your account to update your information and apply for new positions. An important fact to know if you are interested in a career with Carolina Care Plan or Medical Mutual is that the company only hires non-smokers. Tobacco usage will be determined during the obligatory new hire drug screening. If you wish to contact the Carolina Care Plan team, you can do so by filling out an online form on their website with your personal information, how you wish to be contacted, and your question, concern, or comments. Should you prefer to submit a form directly to customer service, this also can be completed on the website via the Customer Service Form, which asks for your name, subject matter, and message. You can also call customer service directly. Compare and receive health insurance quotes by typing your zip code into the free rates tool now!